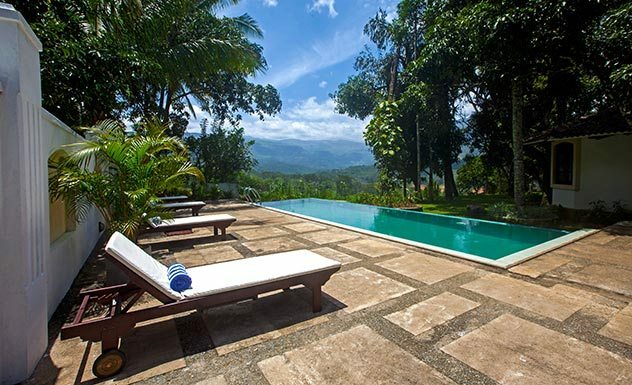 Located a few kilometers off the main Kandy- Nuwara Eliya highway, Mas Villa is a gorgeous 350-year-old property set on a verdant hillside that gazes over the stunning setting of Kotmale Reservoir and the jungle-clad mountains. 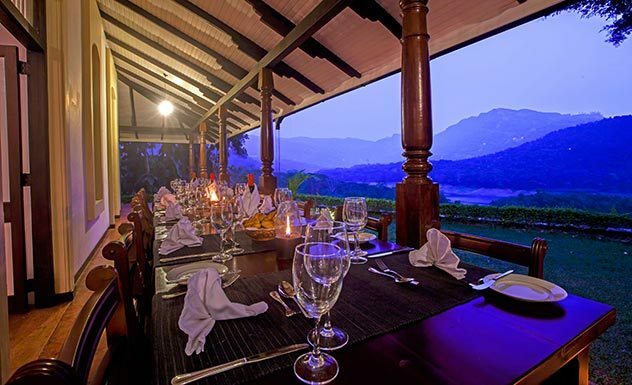 You can even glimpse Ramboda and Gerandi Falls gushing over the mountainside in the distance. 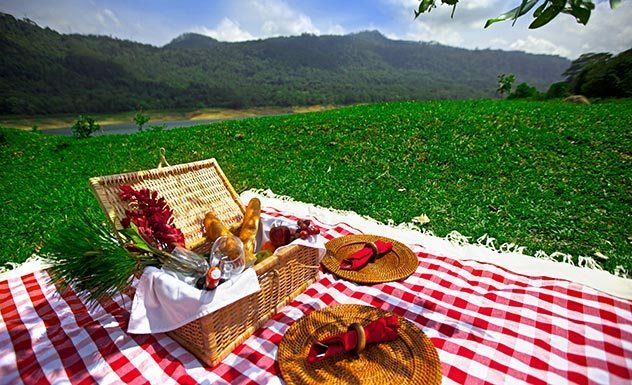 With plenty of opportunities for walking and mountain biking, fishing and boating, plus the chance to stroll atop the mighty Kotmale Dam, this beautiful property is perfect for reconnecting with the outdoors. 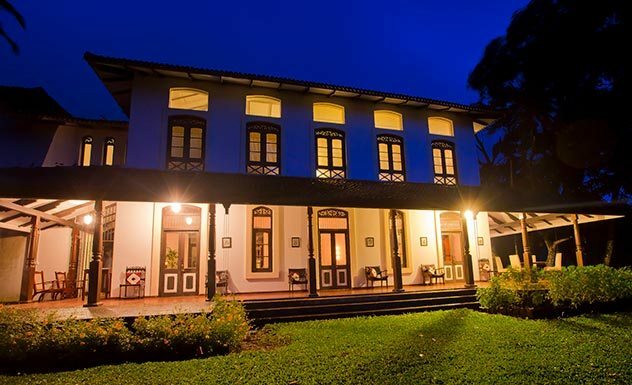 Once the home of a prominent politician, the villa is well-maintained and refurbishments over the years have spruced up the original four bedrooms to a much sought-after boutique hotel. 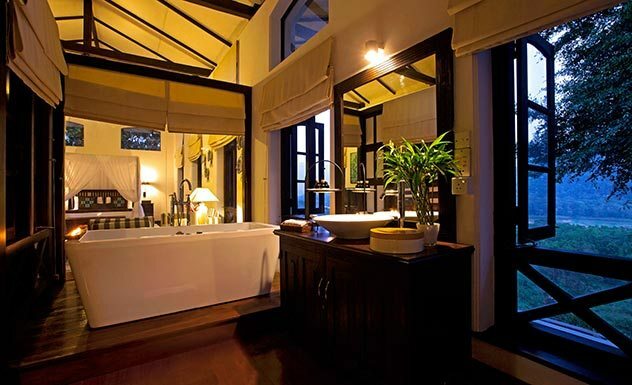 The seven rooms at Mas Villa are categorized into Deluxe Rooms, Superior Rooms and Master Suite. 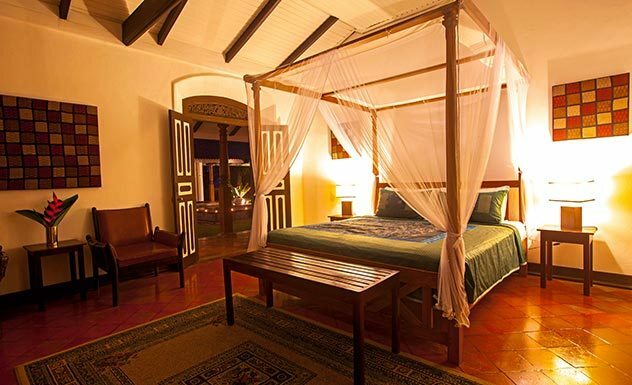 All rooms are air-conditioned, individually decorated with standard facilities including tea/coffee facilities and Wi-Fi. The rooms also have ensuite bathroom with h/w shower. The four Deluxe rooms feature king or queen-sized beds and resonate elegance through their minimalistic interiors. 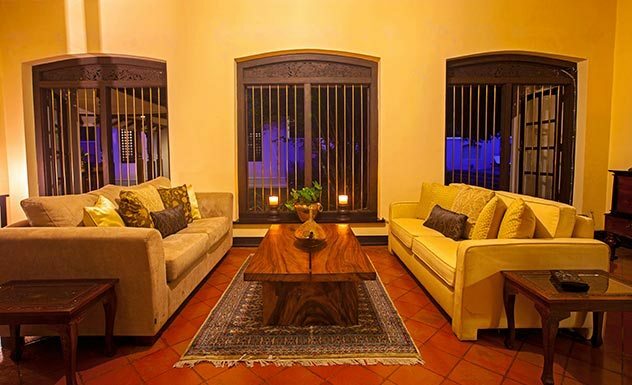 The expansive views of the hills provides an ideal setting to relax. 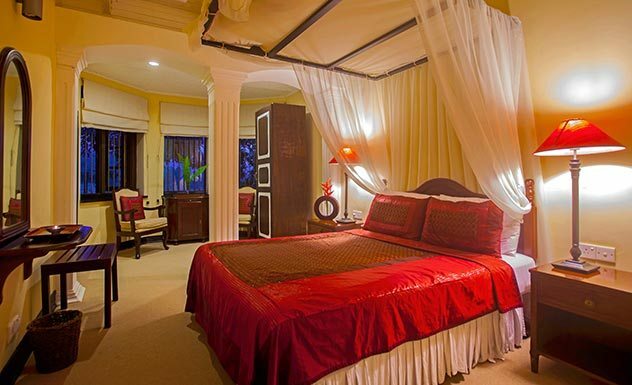 These spacious rooms are fitted with king-sized beds, cable TV, minibar, safe and also has a pillow menu. Ensuite bathrooms come with bathtubs with hot water. 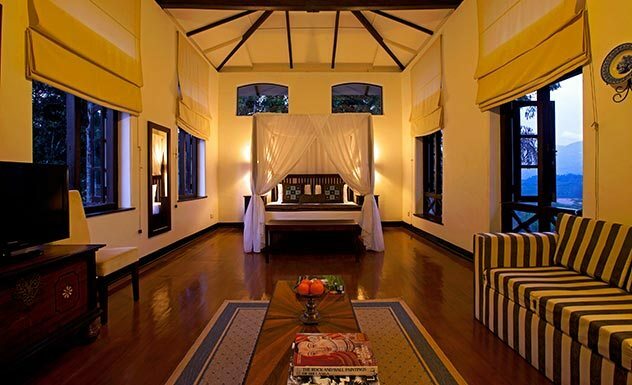 Complete with colonial-style furnishings, this charismatic and lavish suite is located on the first floor. 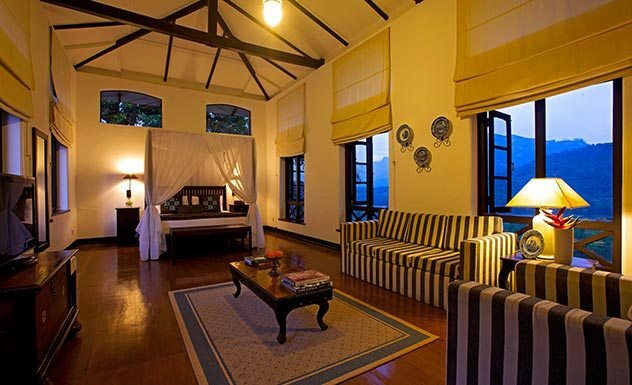 The room offers a Jacuzzi as well as a spectacular view of the surrounding verdant mountains. With a king-sized bed and all modern amenities, you are well taken care of. You can sign up for their butler service too if you wish. Good food is important at Mas Villa, with dinner being an especially formal occasion. Guests can choose from the a la carte menu for each meal though dinner usually comprises a sumptuous four-course set menu. Breakfast includes a choice of either a western or Sri Lankan breakfast. Featuring tropical fruit platters and exotic fruit juices as part of both options, you could even have a bit of both! Lunches are typically mouth-watering rice and curry spreads; as much fresh local produce is used in preparing the dishes as possible. Tea and coffee follow any meal and can be ordered at any time of the day to your table, your guestroom or anywhere else in the hotel. A small selection of wine, spirits, fruit juices and soft drinks can also be ordered alongside all meals. A family friendly hotel. Older children can enjoy learning about tea and how it’s grown.